This weeks Photo Wednesday was taken on Wangsan Beach which is on the Incheon Airport Island. 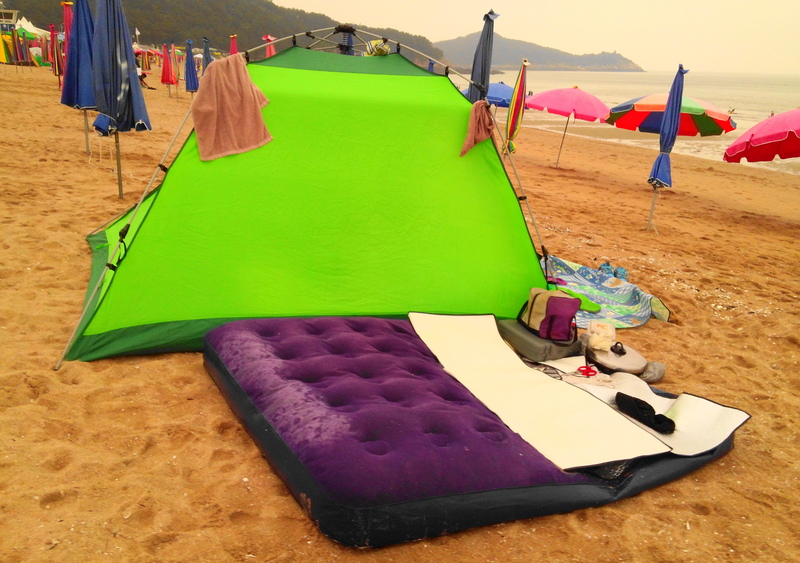 Camping is very popular in South Korea especially during the hot summer months, so this type of sight in not uncommon. However most people sleep in the tent and not outside on the sand. Also some beaches allow camping whilst others don’t, some or free whilst some charge. So if you’re thinking about doing doing some beach camping check in advance if it’s allowed or not and possible costs. Last weeks Photo Wednesday “Humble Gangwon-Do Life” Please Click Here.